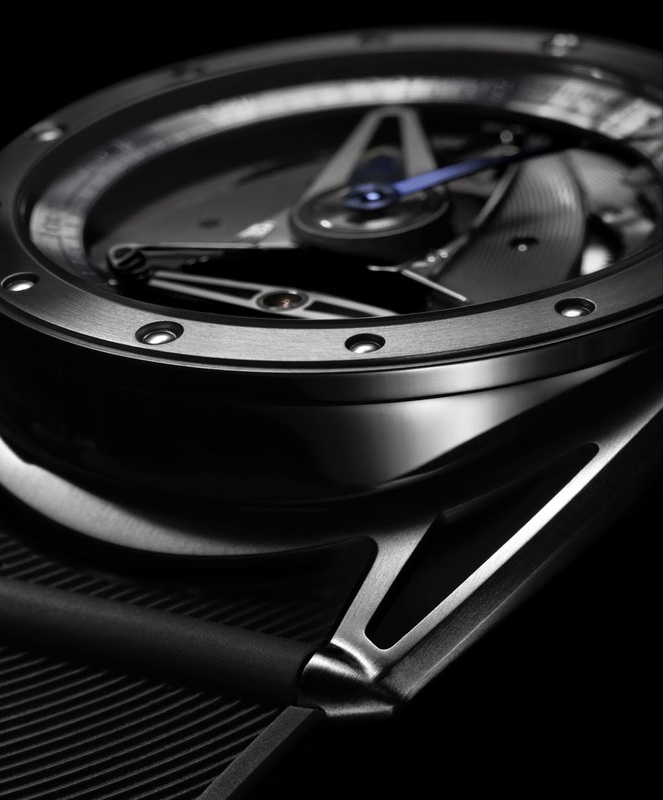 The sporty nature of the new De Bethune creation, the DB28 GS (where GS stands for Grand Sport), is immediately communicated by the adoption of a natural rubber strap, a first among the brand’s collections. The watch is very comfortable on the wrist for the lightness of the 44 mm titanium case (11 mm thick) but also for the the patented floating lugs which allow the watch to adapts to the wrist size and movements. The quality of the hand-finishing is breath-taking. 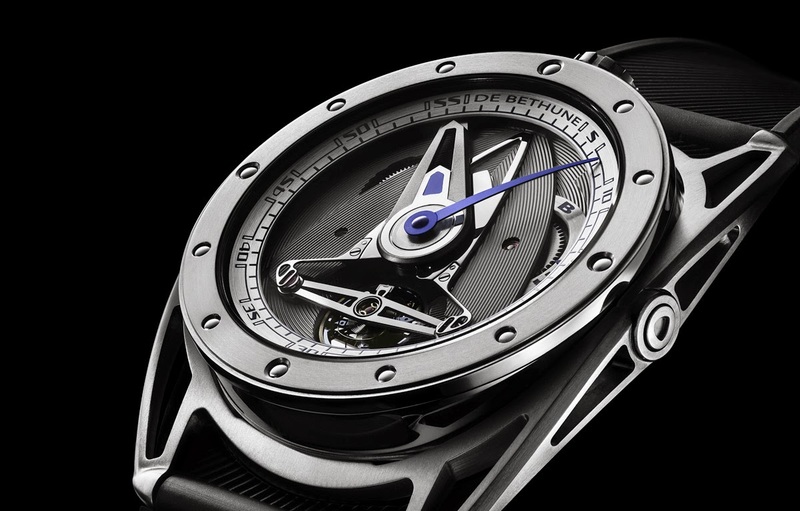 Details like the microlight decoration of the bridges and mainplate, the flat polishing of the deltoid-shaped bridge, or the deep azure shade of the hands achieved using the ancestral flame-blueing technique talk loud of the standards that De Bethune imposes to its creations. The technical standards of the hand-wound DB2110 calibre are not less demanding. 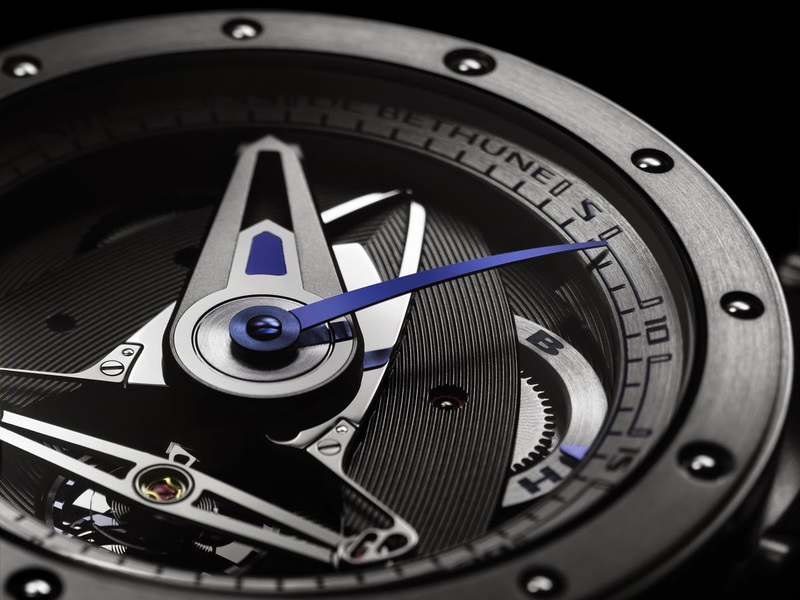 The movement is equipped with a self-regulating twin barrel ensuring a 6-day power reserve – a performance that can be tracked by means of a blue indicator at 3 o’clock. 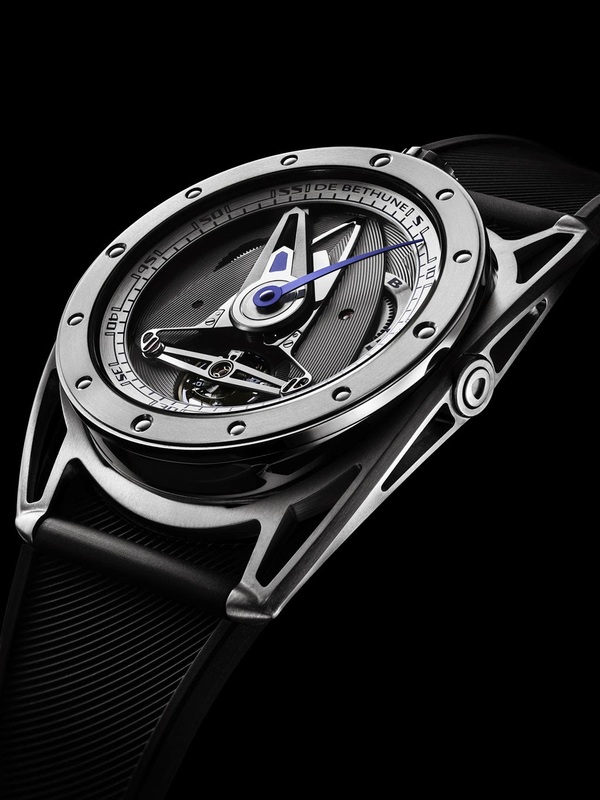 The presence of the silicon/white gold balance wheel and balance-spring with flat terminal curve ensures the ideal inertia-mass ratio for an optimal frequency of 28,800 vibrations per hour. The triple pare-chute shock-absorbing system protects the heart of the movement. Three jewels connect the various elements, serving not only to absorb shocks but also to secure the bridge in case of abrupt displacements. 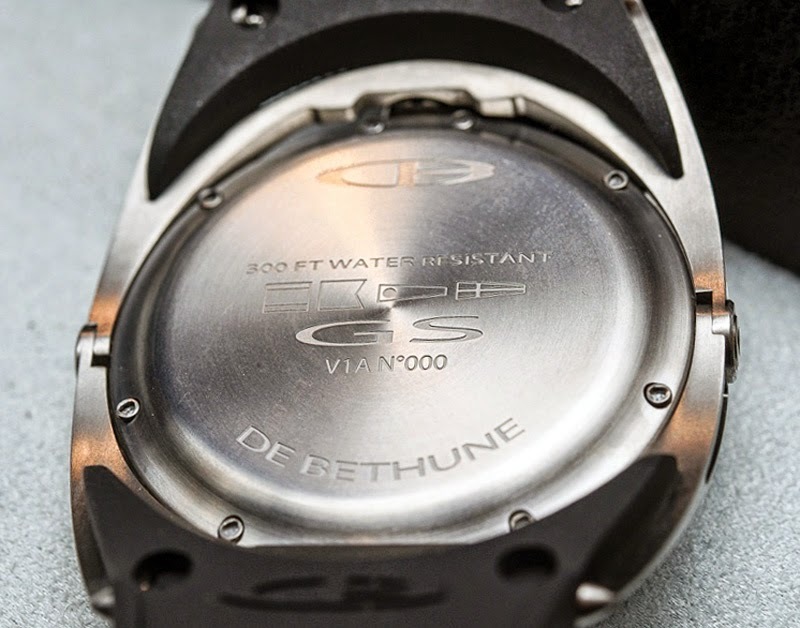 De Bethune DB28 GS. 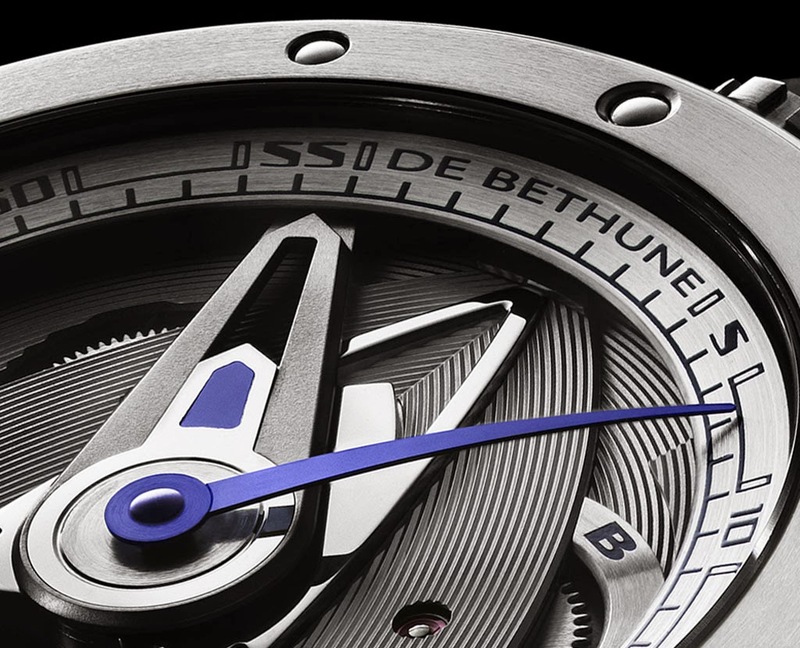 The sporty nature of the new De Bethune creation, the DB28 GS (where GS stands for Grand Sport), is immediately communicated by the adoption of a natural rubber strap, a first among the brand’s collections. The price of the DB28 GS is Swiss Francs 69,500.